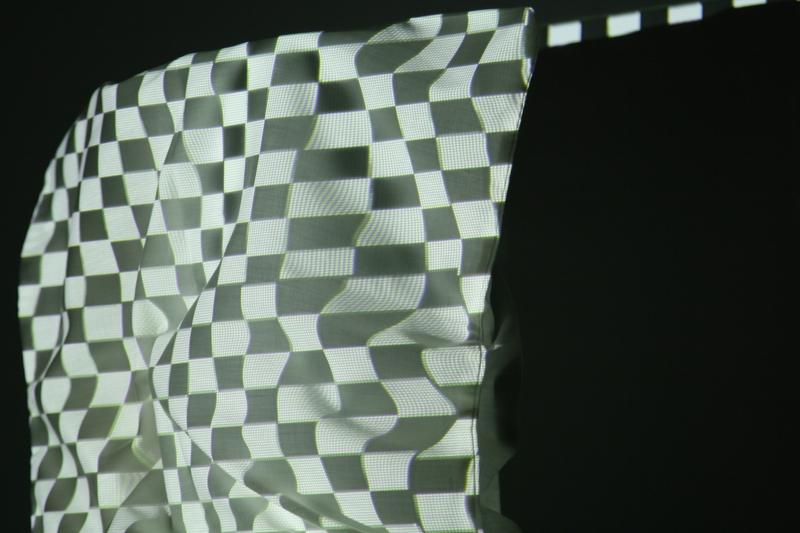 In this experiment a black and white grid was projected on a rumpled piece of fabric. 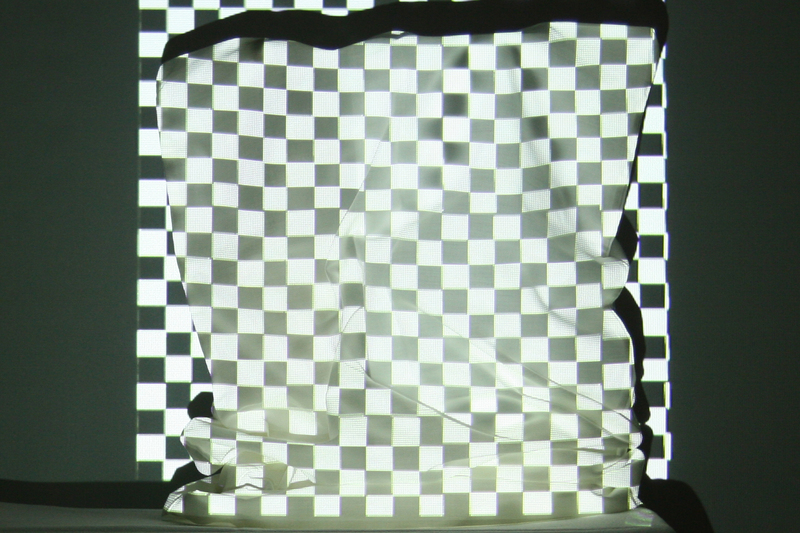 The aim was to test the degree of deformation of the image when it was scaled up or down. It can be said that when scaling up the image, the deformation decreases, while when scaling down the image, the deformation becomes much more apparent. 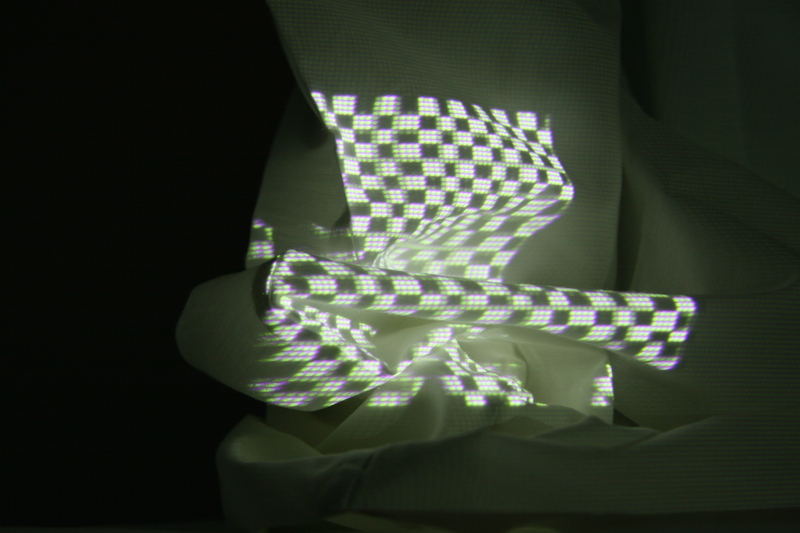 By freely moving around the object, it becomes obvious that the projected image can not reach all of the fabric’s surfaces because of it’s creases. 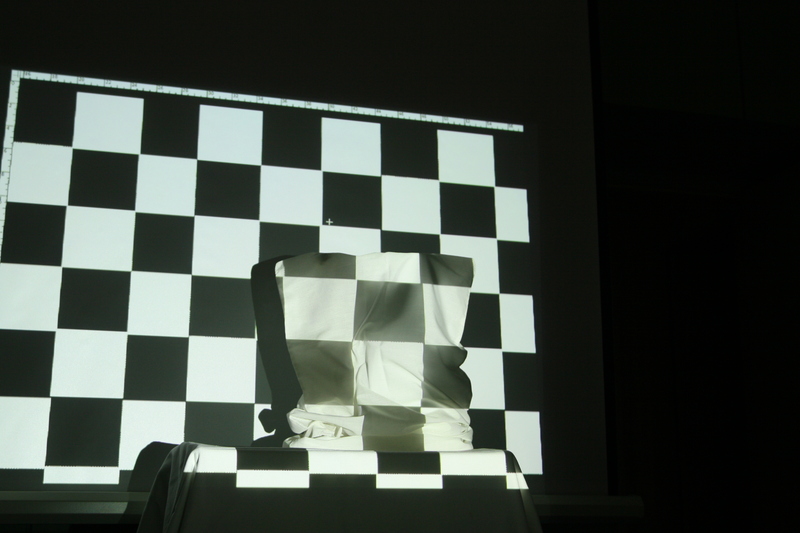 On the other hand, when standing aligned with the object and the projector, these aspects are not visible.